These are all available episodes of The Future of Photography. Total: 76 episodes. Making cameras lighter is a function of several things, including new and lighter materials for what makes them heavy. Lenses are high on this list and this week Chris and Adrian take a look at Aluminium Oxynitride, also known as ALON™ or transparent aluminium. With its higher refractive index and its mechanical strength, is it on the way to replace traditional glass with a thinner and lighter scratch-proof alternative? According to a rumor from 2018, at least Zeiss might be looking into it. Let's revisit GANs on this episode, extending on TFOP ep. 63. Nvidia is at it again with GauGAN (named after French painter Paul Gaugin). This time they present a network that can generate landscapes based on a segmentation map that you draw. Here's a video, a blog post and the paper. Nvidia is planning to release code here. Duration: 00:18:13 068 What's in Your Pocket? Are you locked into an everlasting quest for high quality photo kit that fits in your pocket? Ade is. He recently bought the Fuji 27mm pancake lens which has added a new use-case to his APS-C camera - it now fits in a coat pocket. Get in touch with us on twitter @TFOPnow to show us your pocketable camera kits. How do you get your passport photos done? Ade just had to renew his and found that the UK Government now has a great service for uploading digital photos and streamlining passport renewal. Check out the guidelines here. It's a bit different in Germany though for Chris. And in agreessive pricing news, Canon has set a new low benchmark for pricing full-frame mirrorless cameras at $1299. What does this mean for the future of camera pricing in general? Materials research is trying to make lenses flatter and they are making great progress by employing the same type of antenna technology that makes terrestrial radio work. Just on a much much smaller nano scale to make it work for light. Arseniy Kuznetsov is one of the scientists working with new materials to create the future of lenses, projectors and holographic displays. Watch the video here. Duration: 00:21:15 064 My next camera will be Chinese? Who will make your next camera? Despite new launches from both Canon and Nikon recently, Fuji are winning lots of internet reviewer awards for best camera of 2018. So where do we need to look now for the next big thing? DJI Osmo Pocket? Insta360? Yongnuo? Notice all these are Chinese companies innovating photography through applying new technology. DJI even own Hasselblad now. If Chinese manufacturers who already build many phone cameras now start to make waves in the traditional camera markets, how will the established Japanese, German and other nationality companies compete? Synthetic reality is becoming a part of our daily lives, with deepfakes replacing faces and Adobe's VoCo being able to synthesize anything in anybody's voice. How does this change in reality influence our skills and our beliefs? Our discussion on this episode was triggered by this article by Rob Horning. Remember "Think Different"? Ade is trying his best to do that by becoming iOS native. Native meaning designing workflows, choosing tools and having fun (that's the important bit) with photography all based around "not a real computer". It's a bit of a challenge in places and Chris provides the interrogation to figure out just how real all this is. And check out RAW Power (no affiliation) for properly powerful editing. Duration: 00:25:55 056 Twenty-Eight – Love or Hate? Digital compact cameras are on the way out. Smartphones have taken over that segment for good. But Zeiss is looking at the segment with a fresh approach. Their announced ZX1 camera (introduction video) is a full-frame mirrorless camera with a fixed 35mm f/2.0 lens. But what's even more interesting is that it ditched the card slots in favor of an internal 512MB SSD and comes with built-in Lightroom Mobile. Most of our cameras now have microphones. Ade has a travel camera that allows you to add 4 seconds of audio to a photograph. Then of course there is video. Many in camera mics - maybe all of them - are not delivering the audio quality we like but there are some great products that can enhance our camera capabilities with audio. Rode Video Micro | Sennheiser MKE 400 | But what should our cameras really have as functionality? Audio built in perhaps? Or Lightroom built in - actually now really a thing. And then you have to go buy a new bag - tune in to find out why! Cameras make sounds. From mechanical shutters to cameras that play those sounds digitally. What are those sounds good for? Chris and Ade discuss how camera sounds give them personality and recognizability and how the shutter sound changes the dynamics in a portrait session. Jacobson Sound Blimps closing after 52 years, Photography Tips from the Top Floor, ep 414: DIY camera blimp (interview starts 10 minutes into the show), YouTube: The iPhone shutter sound is a Canon AE-1. TFOP is in the top 25 photography podcast list! The last 10 years have seen a big change in how cameras are being used in cars. From the backup camera when reversing to the dash cam. From cameras as rear view mirrors (Audio E-Tron) to lane assist and obstacle recognition. From 360-degree parking helpers to autonomous logging trucks and obviously in self-driving cars, from Tesla to the more open-source approach of Comma's Openpilot. Also LIDAR is in the process of being turned into a solid-state system and prices are expected to come down. Cardboard as a visual maker tool. Video: Adam Savage on discovering cardboard. Make Magazine cardboard projects. Cardboard furniture. Cardboard teleprompter. Google Cardboard. Nintendo Labo. Google AIY (Vision Kit). Jollylook cardboard camera for Fuji Instax. It’s the marmite of sensors - you either love it or hate it. We are of course talking about the Fujifilm X-Trans sensor. Some say it delivers mushy detail and others say it has beautiful rendering. Occasionally there is common ground where most people think Lightroom does a not-great job on the raw files. But what’s this? Another new Fuji camera with a Bayer sensor you say? 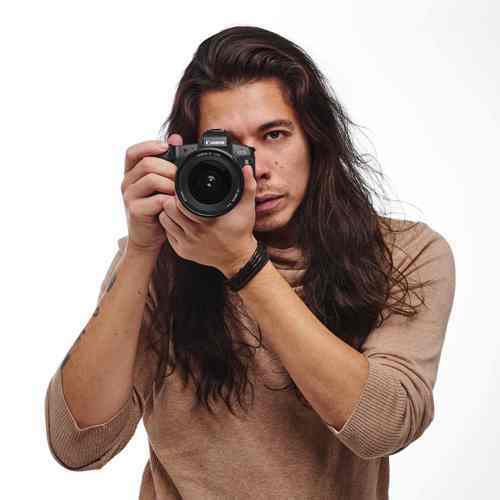 Yes, the Fujifilm X-T100 may be badged as entry-level but it has a lot going for it when it comes to sensor technology and picture quality. For the last decade, smart phones have constantly improved their cameras in terms of megapixels and features, but it seems to get harder and harder to wow us with new photo-related features. At their developer conference, Apple introduced a deeper photographic feature set with a strong emphasis on machine learning. They are also working hard to catch up on some of Google's features. Chris and Ade talk about upcoming organization, grouping and sharing features in iOS 12, about a new depth-related API for developers that will enable swapping out backgrounds in photos. Duration: 00:21:11 032 SDK say whaaat? Have you ever tried to find stock photography that really works? It's hard. A lot of stock images are so cheesy that this Hollywood movie made spoof images for promotion. How could it be made easier? Step in Pond5. Imagine you see a perfect shot for your commercial photo shoot or film but you know the subject is licensed - maybe the Empire State Building or something. Just take a photo with your phone, send it to Pond5 and they will send you back a whole list of of licensed images or video to use. Here is how it works. And a bit more on how it works. Oh, and it actually works! What if Instagram and Twitter paid you for your photos? Never happen? Well check out Steepshot and Zappl Credit to Lightstalking.com for the article that prompted this show. Projection mapping is nothing new, but today's computers enable amazingly creative ways to project images onto anything from irregular screens to buildings to moving faces. Videos: Music video: Pomplamoose (Happy), Getting started in projection mapping (tutorial), VPT (projection mapping software), building mapping primer, augmented reality sandbox, projection mapping on a moving face, Omote, Box (advanced illusion) (behind the scenes). In this episode we discuss image stabilization from mechanical to digital to optical, we touch on Steadycam, gyro-based stabilizers and dive into how Hyperlapse seems to manage to do all that with a simple smart phone camera. Comparison of image stabilizers, The Technology Behind Hyperlapse EPISODE SPONSOR: Jimdo.com - to get 20% off JimdoPro and JimdoBusiness for your first year, use code FUTURE. This week Ade has been looking into very small things - in fact singles. How do you photograph a single atom? How do you capture a single photon? Is there anything that small worth photographing? EPISODE SPONSOR: Jimdo.com - to get 20% off JimdoPro and JimdoBusiness for your first year, use code FUTURE. The Skydio R1 seems to be the first fully autonomous selfie drone that actually delivers on their promise. Tested.com did a review in a forest. On the topic of printing: 3D printing pens, 3D avatars, vertical wall printing, hand jet, braille embosser, Barilla pasta printer, Heston Blumenthal, cake printers, 3D chocolate printing, toast printer #1, toast printer concept, nail printer. EPISODE SPONSOR: Jimdo.com - to get 20% off JimdoPro and JimdoBusiness for your first year, use code FUTURE. Ade does a science show - but this is head-science. How does wearing a body camera impact the behaviour of police officers and the citizens they engage with? How does the press treat formal studies? Could the technology be misused? And how might video footage be misinterpreted due to the perspective of the shot? Take the NY Times test on this last question and see how you fare. And if you want to buy a body camera. Don't forget to let us know if you're interested in our 2018 TFOP meetup and just a reminder: you can make a difference and support us with a small contribution. Both links are in the shownotes. EPISODE SPONSOR: Jimdo.com - to get 20% off JimdoPro and JimdoBusiness for your first year, use code FUTURE. Increasing resolution of existing photos has traditionally been done by a combination of extrapolation of the existing images, followed by some form of more-or-less smart sharpening. 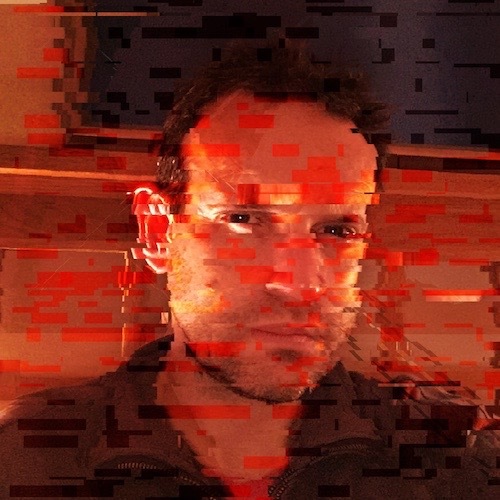 The Max Planck Institute for Intelligent Systems, Tübingen, Germany, has developed a new machine-learning based system named Enhancenet-PAT, which shows much greater success in increasing photo resolution using automated texture synthesis. Here's a talk (14-minute video) that explains this in more depth. What if I want to climb a mountain to take photos or videos? What if I am a keen cyclist? What if I am a scuba diver?Traditionally I needed bespoke kit but now technology is helping us out. Do I still need an enormous DSLR or can I do something else? This week Ade and Chris talk about mobility with photo kit and how you can achieve it. What's out there today that's tiny and cool? Where does it go next? 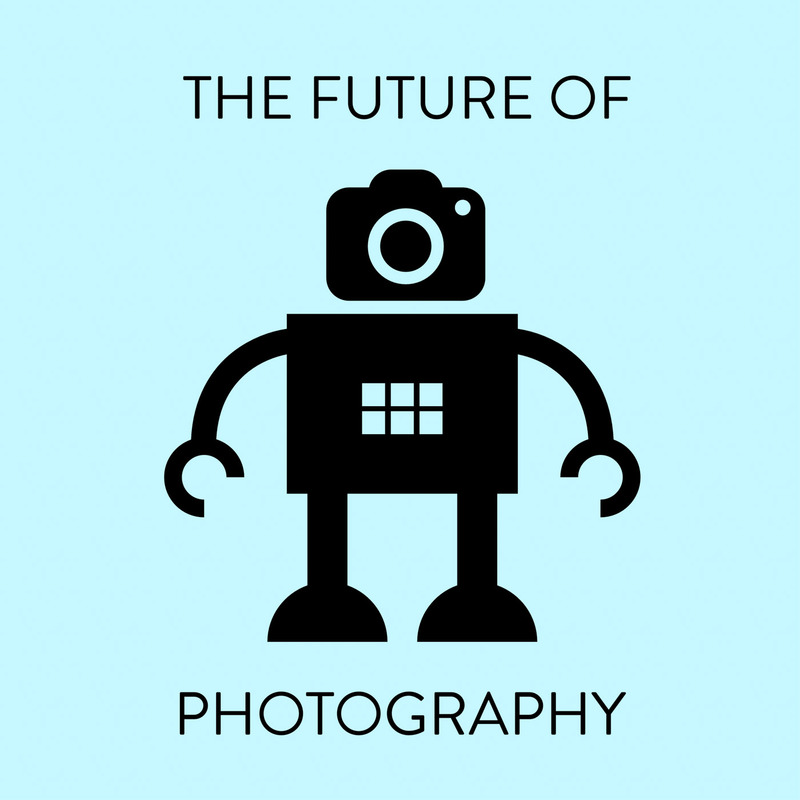 What (if anything) does this mean for the future of photography? Some fun 360 degree toys... Nicolas Cage Can Now Be Put Into Any Movie in History Don't forget to let us know if you're interested in our 2018 TFOP meetup and just a reminder: you can make a difference and support us with a small contribution. I want... all my images on all my devices, all edits sync'd, cloud backup, publishing, automatic keywording and a yacht. OK, maybe the yacht is out of scope but the rest is largely available in various forms and Ade has been checking out Google, Adobe and iCloud services to see what works and what really doesn't. Conclusions? This integration or workflow element of our photography is important but which services do Ade and Chris trust with their images and their money? How about a TFOP meetup in the UK in 2018? Potential for knowledge sharing, playing with other people's toys, recording a live show... If that sounds like fun to you, please let us know by registering your interest. Support the show: we have set up a donation box where you can contribute to our ongoing research and production effort. We're grateful for your support. This week Ade and Chris try to leave the science behind and talk philosophy. They almost manage it, but not quite. There is an amusing interlude while we try to imagine what art critics think and then the reality of what the real critics - friends and family - might say. Also, would you be interested in a TFOP meetup, workshop and live recording? Register your interest here and we will start developing the ideas! Happy New Year! The L16 is an interesting beast. 16 cameras and some computational photography make this a brick-shaped camera that is hard to ignore. Chris and Ade bring you some first-hand experience, they discuss what this means for photography and also talk about some of its shortcomings as portrayed by an article on Petapixel. Our robot finally has a name: eevee. Thanks Dave Schuder for coming up with the idea! The t-shirt winners are Dave Schuder, Paul Friday for the cleverness award and Steve Connery and Deborah Nelson with a honorable mention each. Thanks all for your wonderful ideas! Today's lenses are made of solid glass. This makes bigger lenses heavy and bulky. While fresnel lenses have managed to make lenses flatter by splitting them up in concentric circles of lens segments, they have always had some level of quality loss which makes them not ideal to use in photographic applications. Microsoft has now patented a flat lens that uses tiny nano structures on a flat surface to bend light similar to what a traditional lens does. For the future of photography this could mean smaller lenses and thinner smartphones without a camera bump. Don't forget, our robot still has no name and you could choose it and win a t-shirt! Make as many suggestions as you like here by 24th December. Duration: 00:04:43 004b Boy or Girl? Help Us Name Our Robot And WIN! In the last few years we have seen many approaches to animating photos. Not video as such, more visual effects for impact and fun. Right now it is getting easier all the time. Chris and Ade discuss how we got here, what tools we can use today and the impact they have on our images. From cinemagraphs, through professional tools and now into consumer space, we have lots to play with. Animoto and Quik will help you with presenting photos to friends and family. And Apple Live Photos, along with Samsung, Google and others will help you get started in the glorious, occasionally cheesy, art of animation. What if one photo could contain multiple focal lengths and treat the magnification of background and foreground in a fundamentally different way? Researchers at the UCSB (the University of California, Santa Barbara) have moved one step closer to this. Their research paper shows their algorithm allowing to take a stack of images that was taken from different perspectives and at different focal lengths and combining them into a single photo with variable focal lengths.